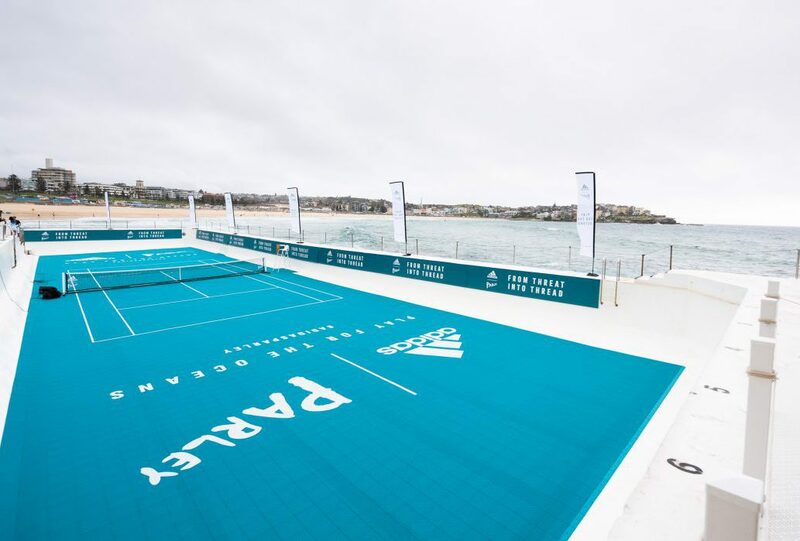 The iconic Bondi Icebergs pool was completely drained and transformed into a temporary tennis court. Why host a tennis event on a tennis court when you can host it in a pool?! 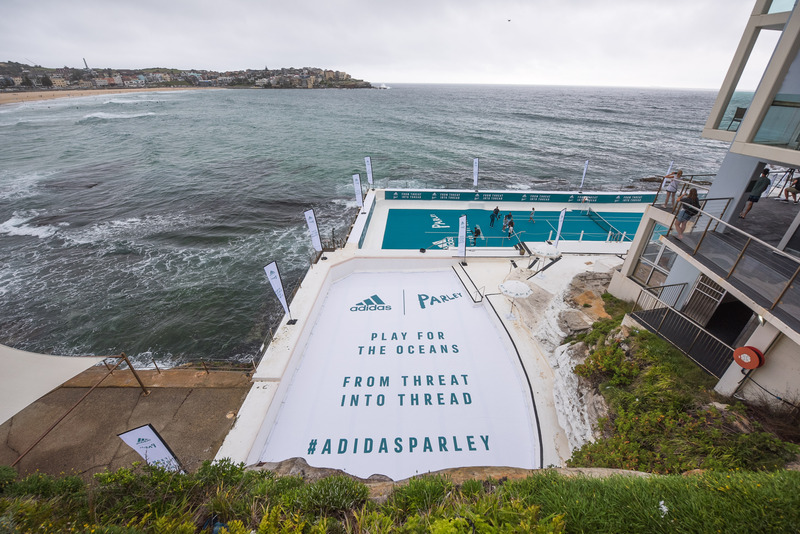 That’s what the creative geniuses at Not So Normal Productions thought, when tasked with launching the Adidas Tennis X Parley sportswear collection. 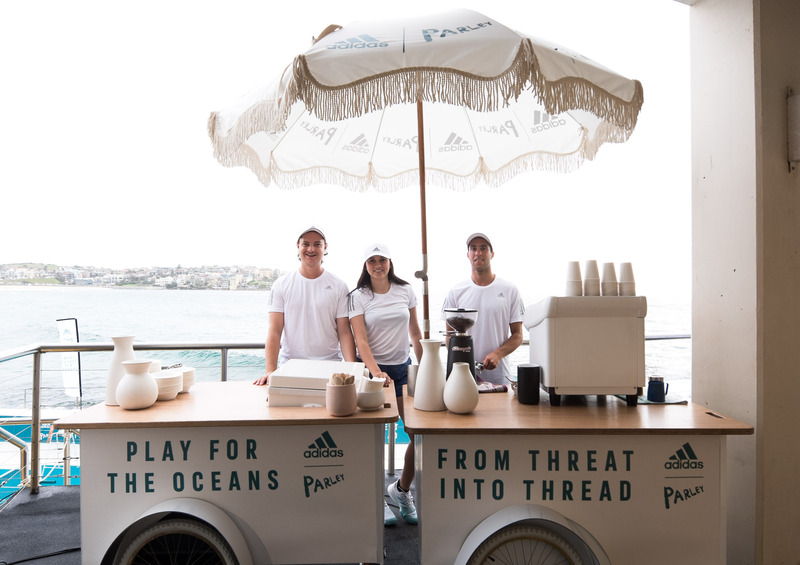 The event was hosted on 10 January 2019 to launch a new high-performance sportswear collection made using upcycled waste from beaches and coastal communities. Iconic Sydney venue Bondi Icebergs was a natural fit for the launch, given its seaside location and Insta-worthy views. 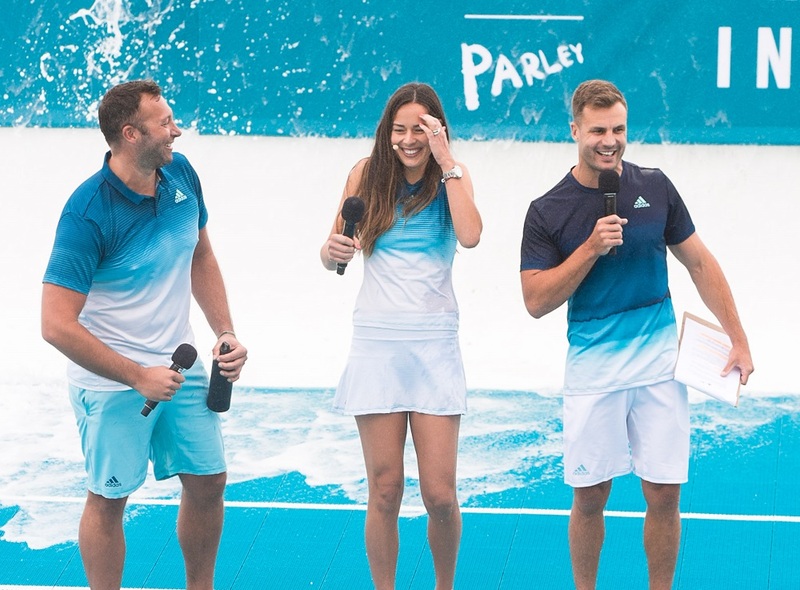 The event involved emptying out the entire Icebergs ocean pool and creating a temporary tennis court for some friendly games between celebrities, including Ian Thorpe, Jesinta Franklin, Elise Perry, Beau Ryan and Ana Ivanovic. 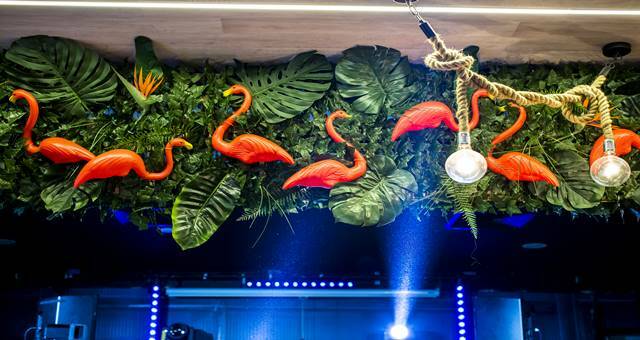 Not So Normal Productions partnered with event technology company AV1 to provide audio visual solutions for the event. 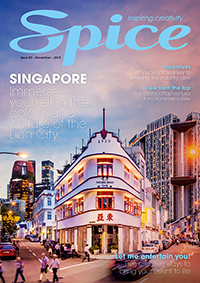 AV1 was engaged during the original consultation of the feasibility of the event and helped recommend suitable suppliers for the custom build elements. 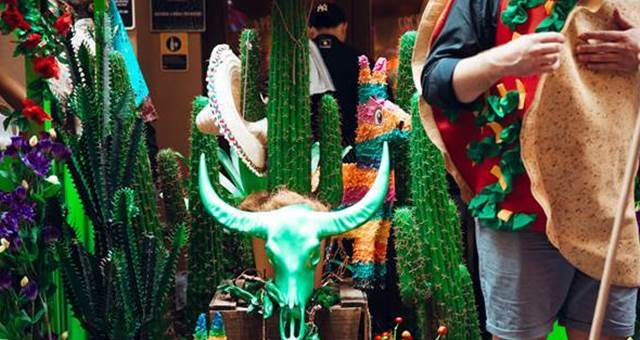 The company was tasked with providing suitable audio visual elements for the event, which were restricted due to the environment and time restrictions with the tide. 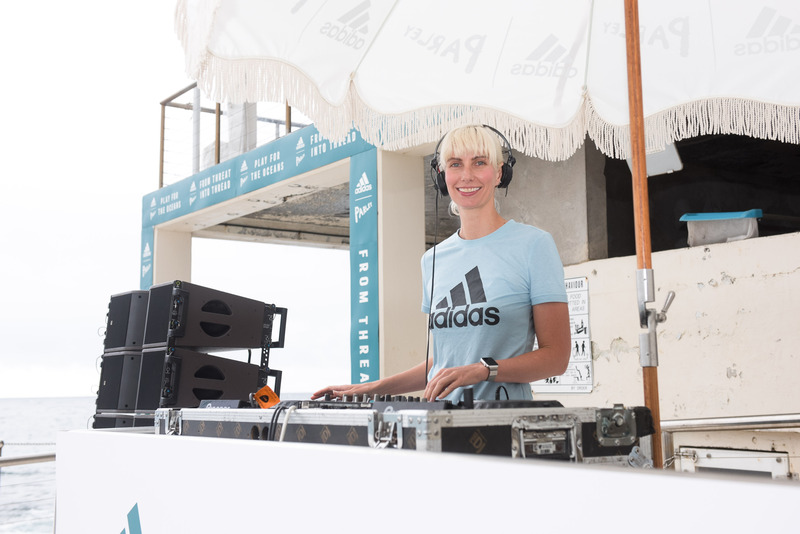 AV1 provided an audio system for the tennis players and DJ to be heard clearly across the open-air site, plus a large monitor to loop promotional videos for Adidas and Parley. 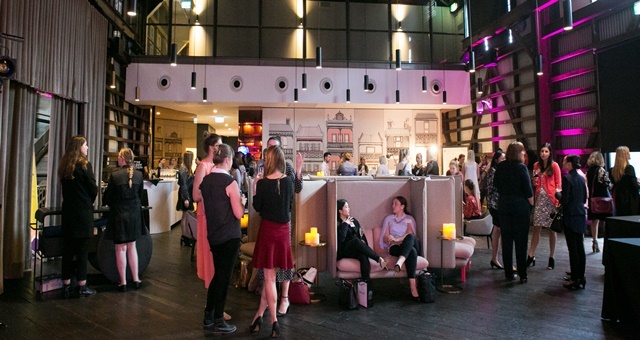 Working with a venue such as the Bondi Icebergs pool presented some challenges for organisers and suppliers. AV1 said bumping in was difficult due to the amount of stairs and being right next to the ocean meant equipment and crew were exposed to the elements. Organisers were prepared for when the waves came! Extensive consultation and coordination between all organisers and suppliers was essential to ensure a detailed WHS risk assessment was in place and all potential risk factors were considered. Despite the rigorous planning, towards the end of the game waves began to break over the wall and into the pool during play. AV1 said foreseeing this potential hazard meant their setup in the pool was very minimal and they kept to strict timelines for bump-out. Zoe Carr from Not So Normal Productions thanked the AV1 team for their assistance with the event. 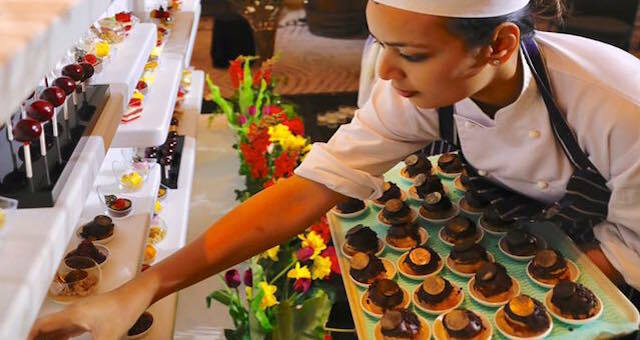 “A massive thank you for not only the event but for the early days on this project when you worked so hard to assist us in finding the right supplier mix to nail this project,” she said.